The Export-Import Bank of the United States is offering a new form of short-term revolving financing facility worth US$5mn to Honda Aircraft Company to support aircraft exports to Mexico. US Exim tells GTR that the deal is the first use of this kind of facility to support US-manufactured business aircraft. “The facility was developed to address the particular needs of HondaJet in the Mexican market, but this type of facility could be used to support other exports to creditworthy international buyers,” says a US Exim senior official. As part of the agreement, US Exim is serving as the guarantor of ‘floor planning’ credit being extended by Apple Bank for Savings in New York, which refers to a short-term loan for high-end products, such as aviation or automotive parts, where the goods themselves are offered as collateral. 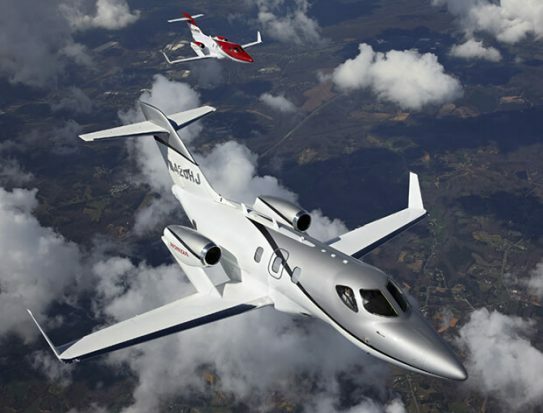 The financing, which is available for one year, will support the exports of several HondaJet HA-420 aircraft to HondaJet’s exclusive distributor, Grupo Avemex, in Mexico. The transaction was arranged by AirFinance, a US Exim-qualified advisor for business aircraft and helicopters. The first HondaJet to be financed under the facility was delivered in late December. US Exim’s activities as an export credit agency (ECA) have been hamstrung since its charter expired in July 2015 by a lack of sitting board members, meaning it is unable to achieve the full quorum of three members required to fully leverage its financing abilities. As such, US Exim has sought innovative financing solutions involving private sector assistance to manage its obligations to US exporters. In its current state, US Exim is unable to finance deal greater than US$10mn. In response, US businesses have had to turn to the commercial sector and foreign ECAs for access to financing, which has resulted in several collaborative efforts from within the aviation sector and other industries to fill the gap left by US Exim. US Exim confirms to GTR that President Donald Trump has resubmitted the names of the four nominees to the Senate, including the former chair of the Republican National Lawyers’ Association Kimberly Reed as the latest nominee for US Exim president and chairman of the board of directors. Reed’s nomination was approved by the Senate banking committee in August 2018 and is currently awaiting a confirmation hearing in front of the Senate. Despite numerous calls from senators and major US exporters, US Exim is still awaiting notification from the Senate banking committee for a date the other nominees will be considered. At present, ambassador Jeffrey Gerrish is serving as US Exim’s acting chairman and president and is the only active board member.